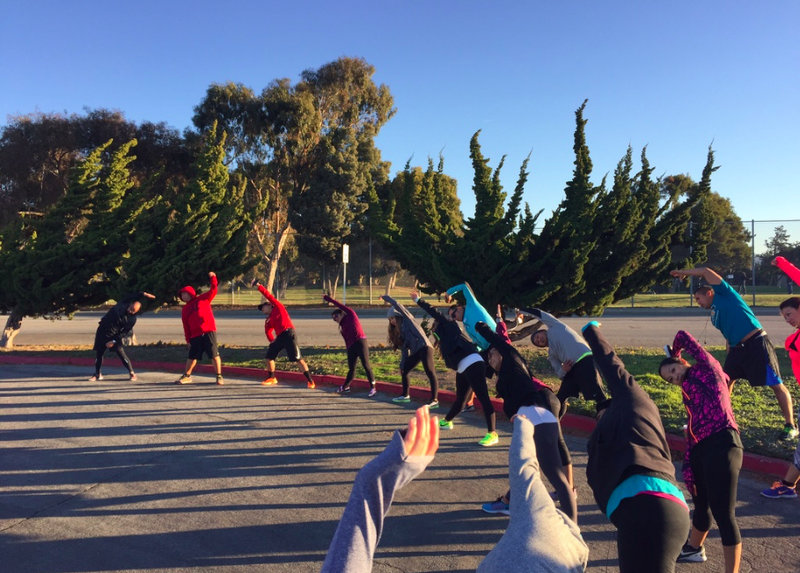 After a Thanksgiving holiday, sometimes all you want to do is RUN off all that turkey. 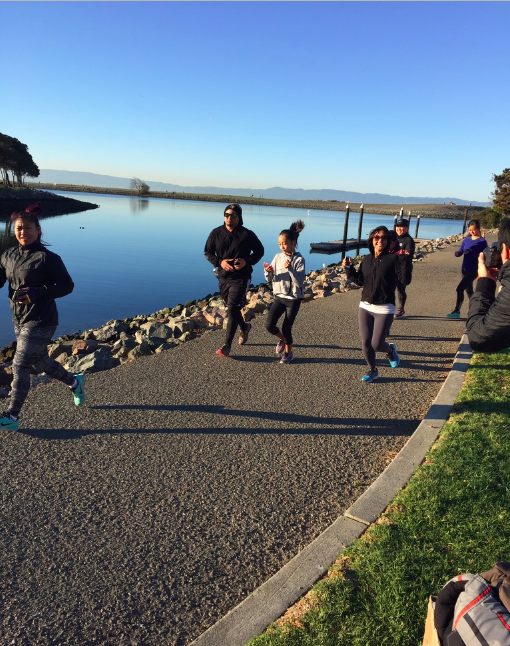 We kept the tradition again this year by hosting another Concrete Meet at the San Leandro Marina Park. Since this is the season of giving, we had to continue our work in the community by also holding a coat drive. 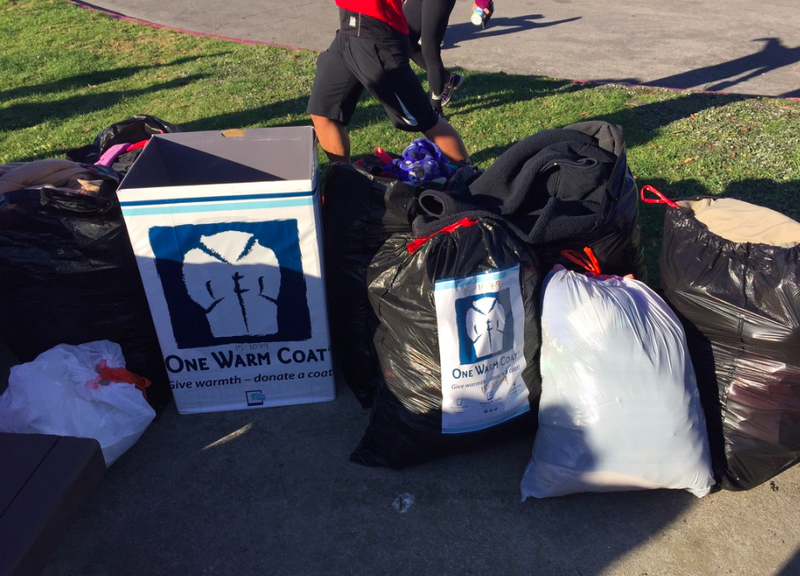 Our runners came through with bags and bags of coats, which we donated to One Warm Coat. It was a great way to get together, help those in need, and also burn some calories! 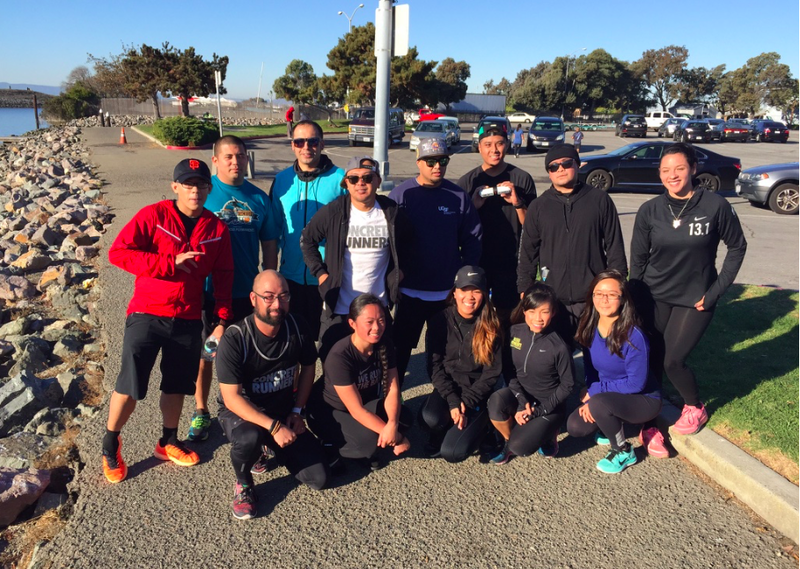 Black RunDay was my first Concrete Runners event since joining Season 3. It was nice to finally meet the CRew and they were all so welcoming. Everyone was motivating and encouraging each other during the run, which was really helpful since it was such a cold morning. They were also hosting a coat drive and it was great to see how generous everyone was with all the bags and bags of coats that were being donated. 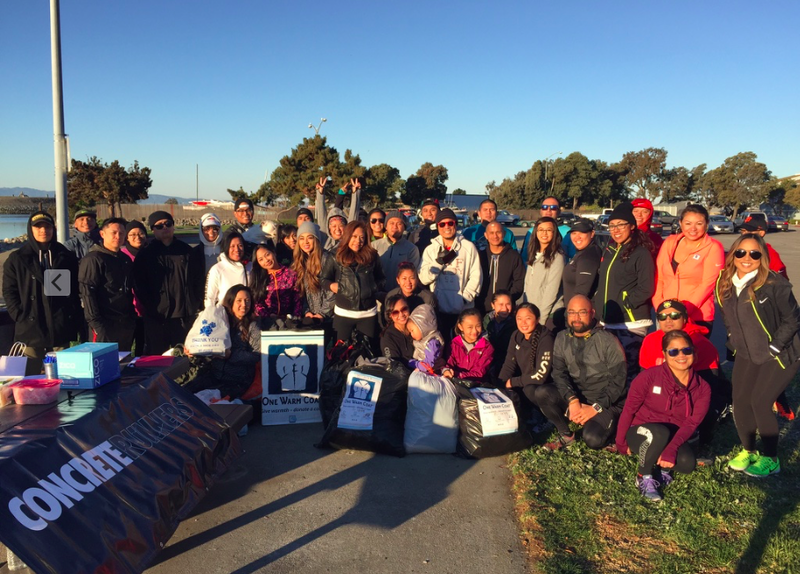 Love that we could all get together for a run and make a difference at the same time! Can't wait to see what's in store for Season 3! I didn’t know what to expect...out of the 45+ that were there at this event, I only knew 2 people. I drove up and was immediately greeted by Reina, while I was still in my car. Who does that? She did and that was very awesome and kind of her to do. From there, homie handshakes and hugs were given left to right and it really felt like I knew everyone. EVERY.SINGLE.PERSON was (and still is) very welcoming, much like a family gathering! During my run, I ran by myself, just at my own pace. At the last mile, I was running towards a handful of fellow CR who were running towards the finish area. This is what I remember the most, "go Max! You can do it! Great job, keep pushing! You got this!" ...all that while HI-5's were being slapped around. Totally pushed me and just made me feel great! This was a very memorable, exciting, fun event and run with the CR Fam and truly am looking forward to the next one. It was my first black RUNday with Concrete Runners & it was such a great experience to give back to the community with coats especially with how the weather is now. Although it was really cold out and I was battling a cough, I still did what I could to run. The support of my fellow runners kept me going until I couldn't anymore. 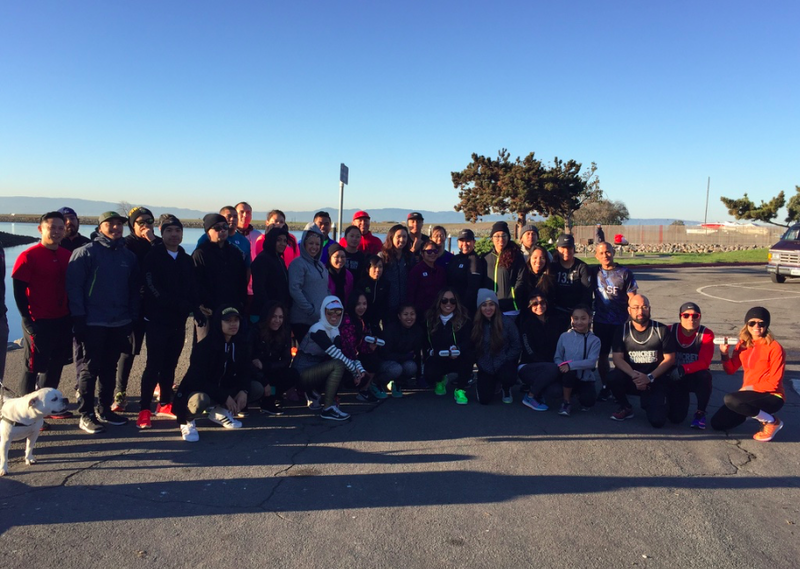 It was so nice to meet all the new concrete runners & reunite with everyone there after the Thanksgiving holiday. This is one of many moments that I enjoy with this CRew!